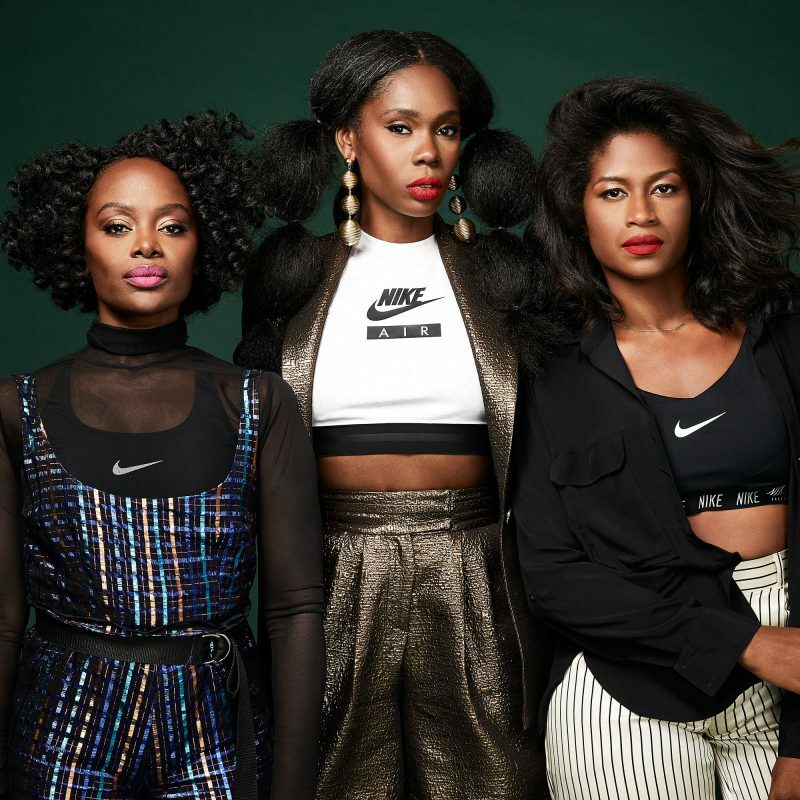 When I think of those that inspire others who dream, I think of these three women who remind us all that there are no limits to what we can achieve. 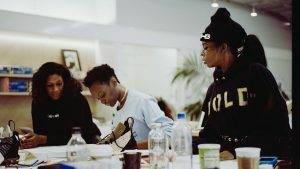 Above you will see from left to right, New York natives Undra Celeste and Kimberly Goldson along with a woman who has also created a foundation committed to providing opportunities to others like herself, Fe Noel. 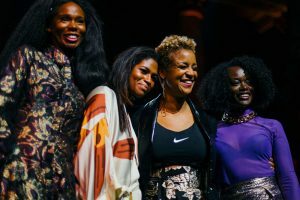 Earlier this month, CEO and Founder of the most prestigious platform for multicultural designers Harlem’s Fashion Row Brandice Daniel hosted her 11th annual gala and fashion show at New York City’s Capitale. 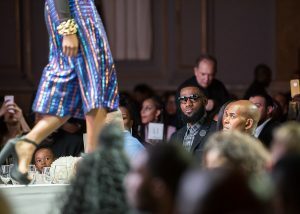 It was a monumental night with many a celebrity in attendance including that of LeBron James aka the GOAT. Considering all of Daniel’s accomplishments since her 11 year inception, this night was indeed uniquely special. 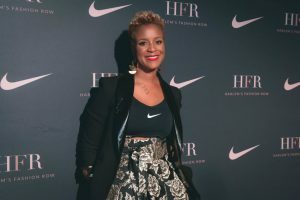 This would mark what appears to have been her first sportswear partnership with the multinational corporation known as Nike. Dress code for the evenings engagement called for Black tie and of course, Nikes … sounds like my kind of party! 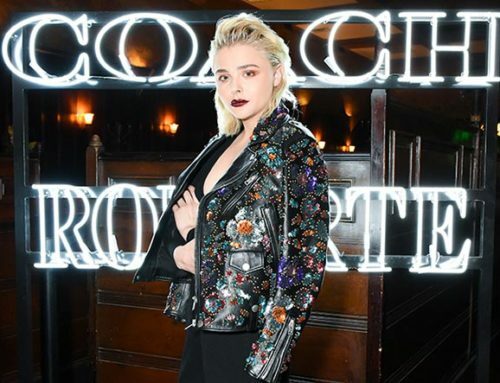 Everyone in attendance exuded the very essence in which HFR is known for. I’d like to call it “cultural glamour”. 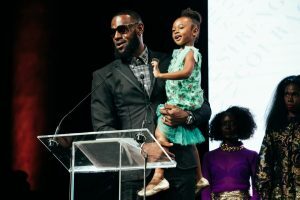 Before the unveiling of the highlighted sneaker, LeBron accepted Harlem’s Fashion Row Icon 360 Award all while holding his beautiful daughter Zhuri in his arms. 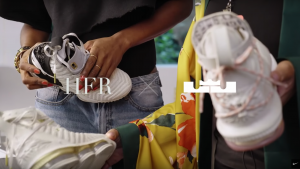 He spoke of the powerful women in his life including that of his wife and his mother, followed with why he was called to create a shoe symbolizing a womans incredible strength. Following James speech, the very women that co-designed the shoe including that of HFR’s Founder took the stage to take part in the historical moment. An awards ceremony congratulating some of the most eminent names in the industry continued the evenings festivities with toasts and cheer. 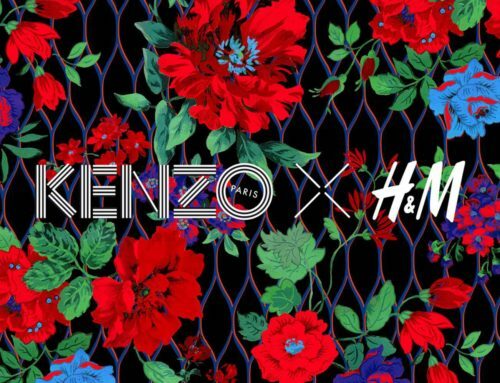 Not to mention a much anticipated and celebrated fashion show where you see this falls collections from all three featured designers. 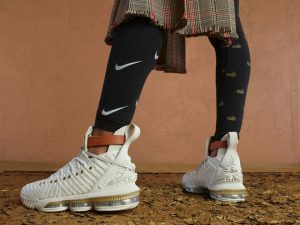 This is the first sneaker designed by women for women in partnership with Nike that in addition sold out in just under 5 minutes! That’s undoubtabely incredible not to mention very telling of what we as women are capable of, for real. The sneaker is adorned with gold accents which was first influenced by designer Undra Celestes mention of gold grommets. This instantly struck a chord with all three women given they all love what GOLD represents. In my mind, I immediately resort to the word POWER. It’s powerful, it’s impactful, it’s sophisticated. You will also find that the sneaker is comprised of three types of knit which in the words of Fe Noel, “identifies each one of the designers”. 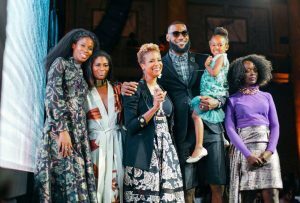 To add, you will also find an interchangeable/detachable leather strap with LeBron’s crown on each shoe that can be worn either as a bracelet or a choker. To make it even more badass, it has a 3D-molded lion’s head that grips the laces in its mouth. If you’re a LEO like me you especially want this shoe! The sneaker was built on the mere description of its counterpart – Loyalty, Dignity, Courage and Strength.